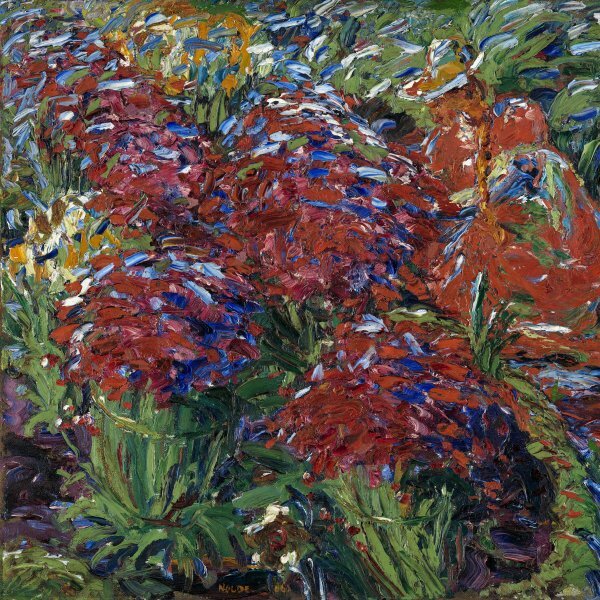 In addition to a great landscape artist, Emil Nolde was an important flower painter. His pictures of sunflowers, on which he concentrated for over a decade, link him directly to Van Gogh, an artist whom Nolde admired throughout his lifetime. 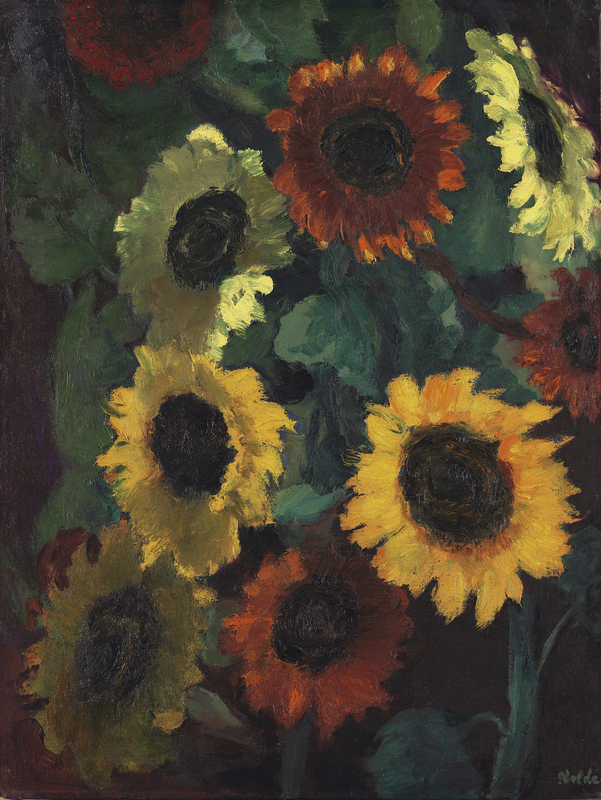 Nolde began to paint a long series on sunflowers at Utenwarf in 1926, shortly before moving to Seebüll. 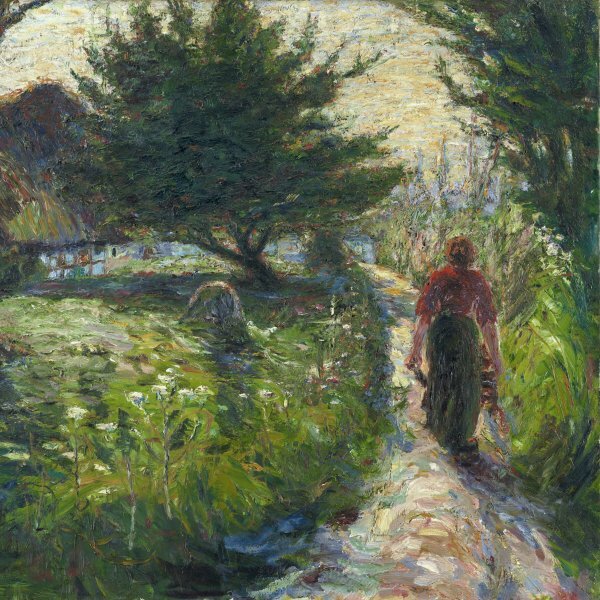 As Peter Selz has pointed out, at his houses in both locations Nolde cultivated leafy gardens that he used as models for his oil and watercolour paintings during the last thirty years of his life. The flowerbeds — planted with sunflowers, roses, poppies and camellias — formed the initials “A” and “E” or Ada and Emil in an odd combination of petit bourgeois taste and thirst for originality. According to the artist’s handwritten list, the Museo Thyssen-Bornemisza Glowing Sunflowers was painted in 1936, a year in which Nolde’s career was beginning to run into difficulties: following the consolidation of the National Socialist regime, his works were starting to be withdrawn from German museums, and many would be included in the exhibitions devoted to what was considered degenerate art. The first owner of the work, the banker Friedrich Doehlemann, who possessed several of Nolde’s works, kept up a certain amount of correspondence with the artist. In addition to director of the Bayerische Gemeindebank, Doehlemann was president of the committee that helped finance the construction of the Haus der Kunst in Munich, the venue for the 1937 Entartete Kunst exhibition, which Nolde visited with Doehlemann himself during a trip to Munich that year.